How Favorite Properties Feature Works! Select the Favorite Properties from page attributes. Publish the page once it is ready. 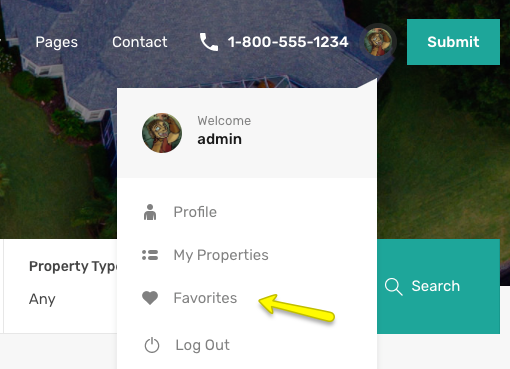 Now you need to navigate to Dashboard → Real Homes → Customize Settings and look for Favorites panel. Select Favorites page from the drop-down list as shown in the above screenshot. You can also Show/Hide related button on property detail page. Save the changes and your Favorites page is ready to users. Visitor do not need to login to use this feature as if he/she is not logged in then the favorite properties information is stored in cookies. But if the user is logged in then this information is stored in database as user meta. The user can delete the Property from favorites collection by clicking on trash/corss icon.